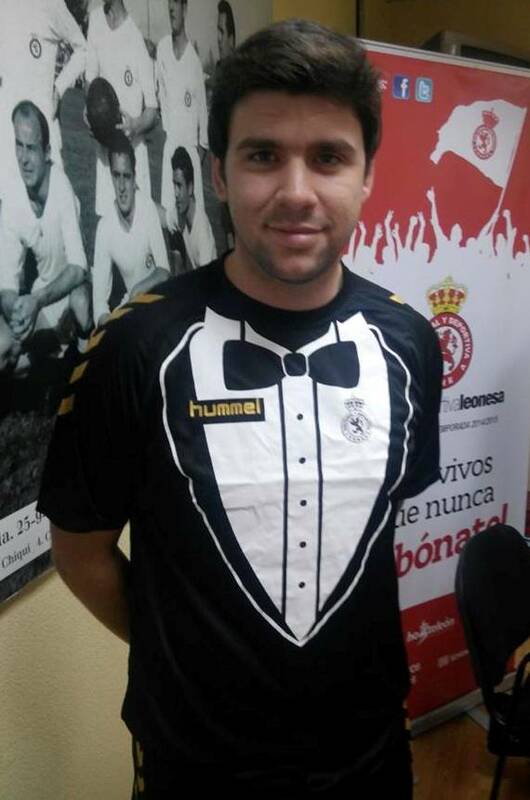 Spanish side Cultural y Deportiva Leonesa have unveiled this rather bizarre looking “Tuxedo” kit. 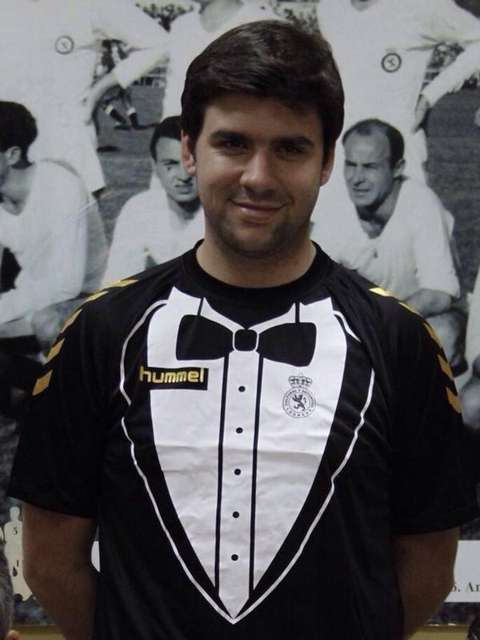 They’re currently in the Segunda B division. We’ll let the shirt do the talking here! 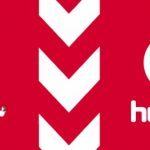 Made by Hummel, the kit will fortunately be worn only for their games in a triangular tournament involving Ponferradina and Sporting Gijon. 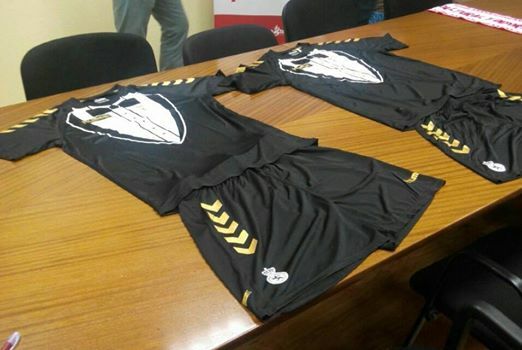 Hummel, for the record, also created these for Recreativo Huelva two years back. 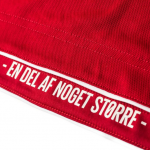 This entry was posted in Spain La Liga and tagged Hummel on July 22, 2014 by Football Kit News. 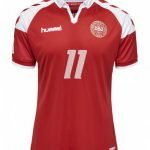 Lets bring Hummel to England and watch the fun! Be a bit warm wearing a jacket and tie to play football in. Lol. Try reading the caption along with looking at the picture. Oh dear!!! Now this is bad!! Funny though!! How do I buy one of those fantastic tops ? if its not a joke….no it cannot be serious. Only be worn at special occasions.